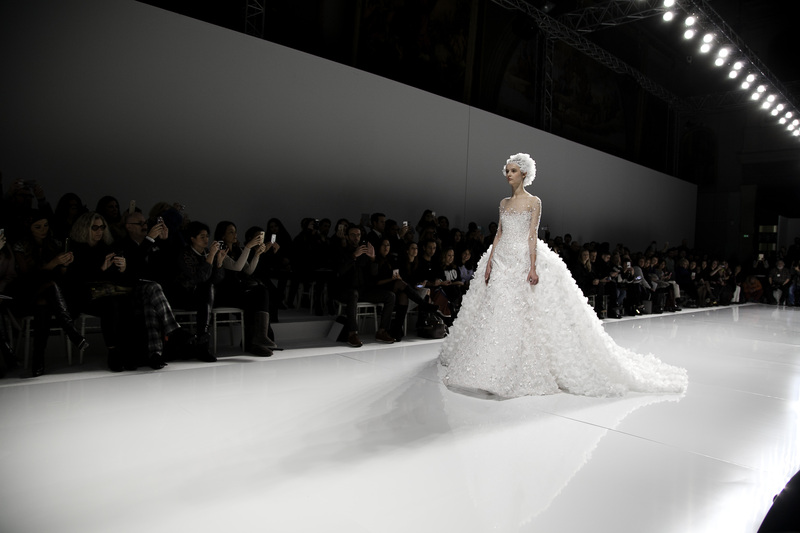 George Hobeika alongside Elie Saab and Zuhair Murad is one of the most famous Lebanese designers, he shows his collections every year during Haute Couture, his craftsmanship competes with some of the best ateliers of Paris and indeed he has a list of clients that use his creations for some of their most special collections. 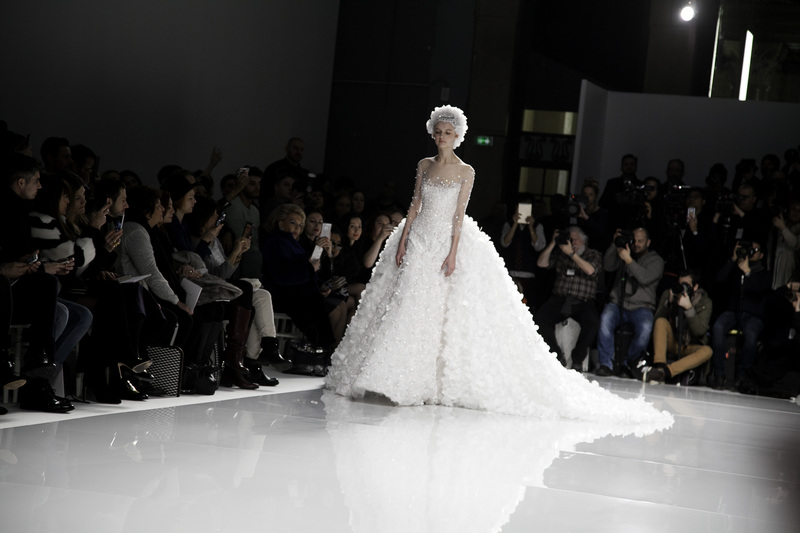 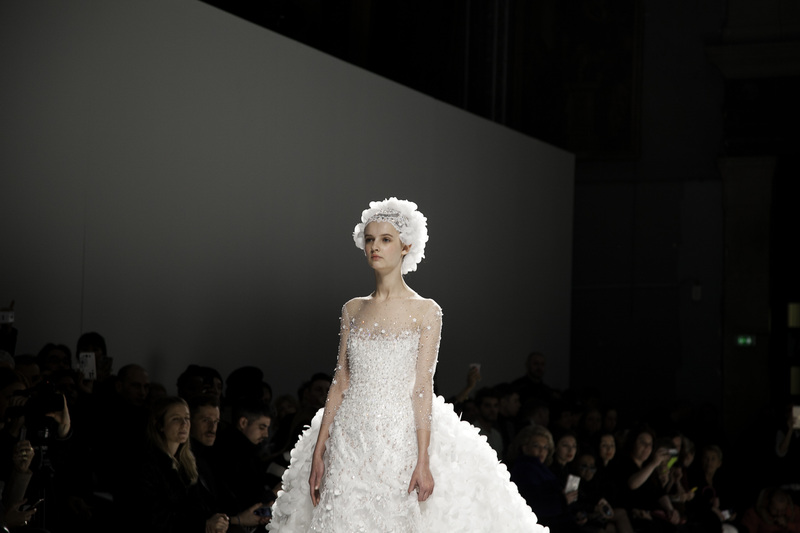 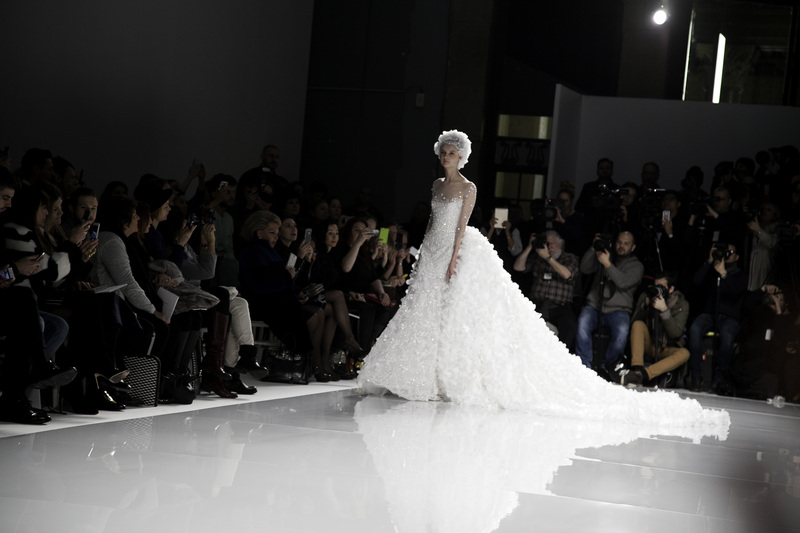 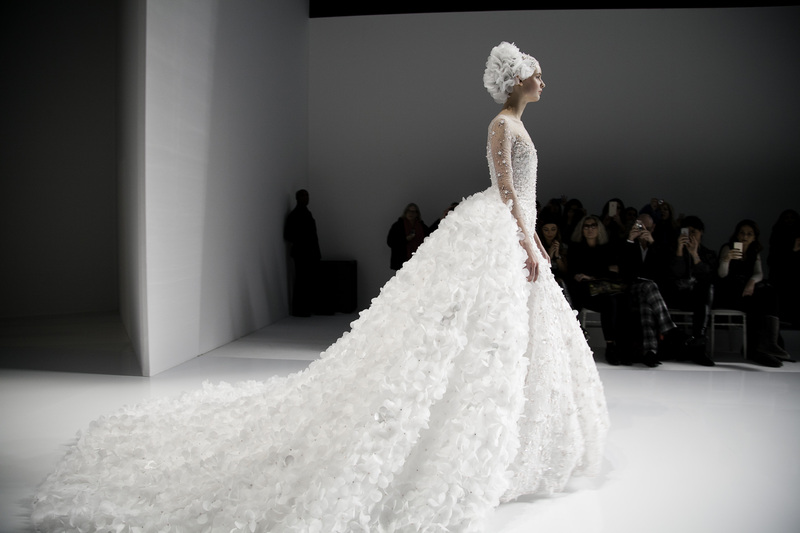 As I did yesterday’s post on the Met Gala’s dresses and Rihanna’s incredible dress I go inspired to share this one with you, which I think was one of the most amazing wedding dresses of the last Haute couture collections. 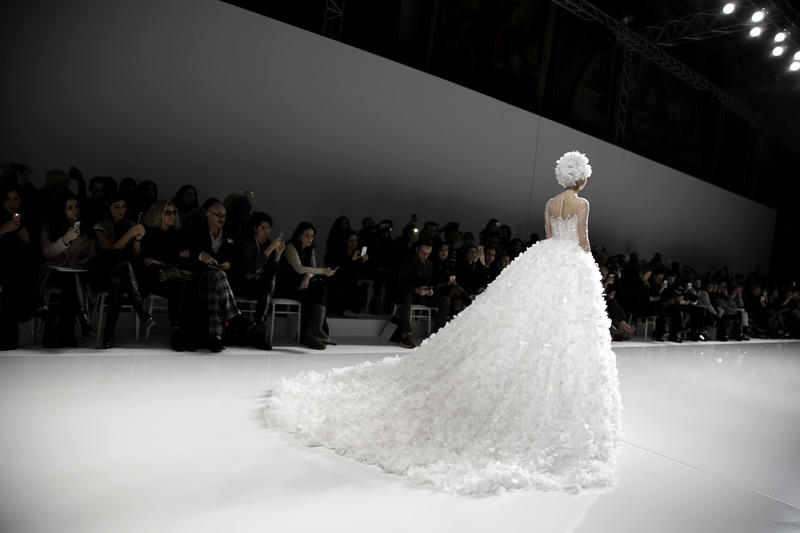 I can’t even imagine what it would mean to wear one of these dresses, looking at the model, one must stop after some steps and close ones eyes and breath, maybe our mind will say, I made it to the end of the aisle in a majestic way!